Stacy and I had the following brief conversation yesterday on the course platform. 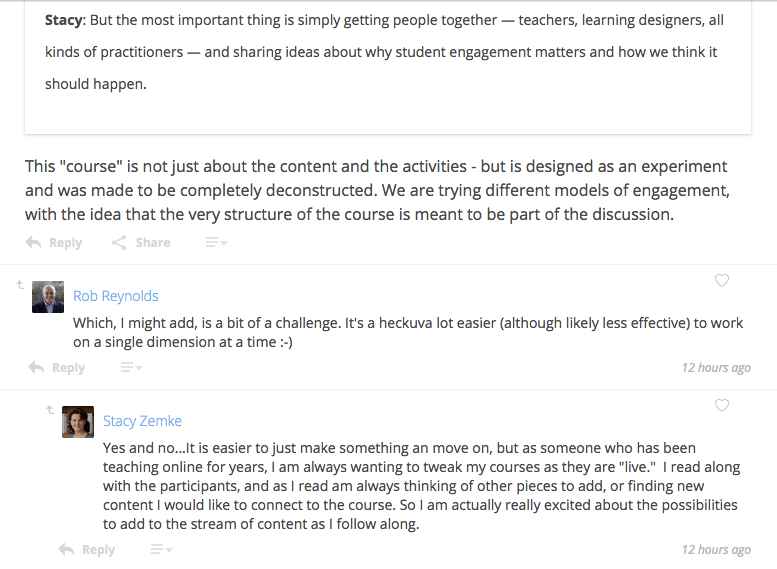 I like her statement that courses are really much more than “content and activities.” I also agree with her that it is probably “easier” to be unengaged as a teacher. In my personal experience, it is indeed much less work and commitment to simply create a collection of content and assessments, and then take the occasional gander at course activity and discussions. Far easier, perhaps, but far less valuable for both teachers and participants. 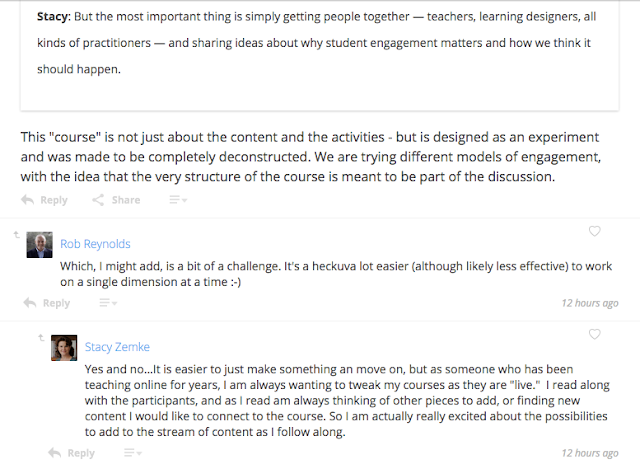 Teaching out loud, asking questions and reflecting as the course goes along, investing the time to bridge meaningful connections between participants and networked information, encourages/forces me to connect to the course beneath the surface. It helps me see new possibilities for facilitating learning. That’s why teacher engagement so so exciting and why promoting student engagement is so rewarding.